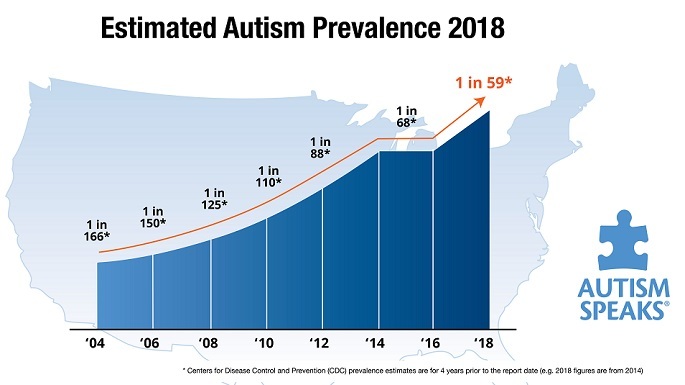 While ‘experts‘ continue to debate about the autism epidemic, parents are paying the price. Of course, I’m preaching to the choir here. Families are well aware of the financial burdens. The problem seems to be that the medical profession is clueless. Parents are told to get therapies that are very expensive, and even if they are ‘covered’ by insurance, the co-pays can be prohibitive. And, if the child fails to meet intellectual milestones? More therapy. In 2010, Dr. Grenpeesheh, “… completed a study which found that 6 out of 14 severely autistic children who obtained treatment by CARD had fully recovered.” That’s 43%. Regardless of the exact diagnosis, the reasons for increasing numbers, and questions about ‘recovery’, the lifetime costs of caring for more than half of the patients with ASD are considerable. An important finding in the study was that the second highest cost of autism was lost productivity to family members who must care for an affected patient. That means that earlier diagnosis, with prevention of long-term disability, and the amelioration of intellectual disabilities, will have the greatest effect on decreasing costs. I am not qualified to offer financial planning advice. There are experts on that side of the equation. Given the present state of our understanding about the cause(s) and useful autism treatment(s), such assistance in assuring your child’s future may prove valuable. Protocols provided by MAPS physicians are certain to impact these tremendous expenses. At The Child Development Center, we have been very successful at achieving neuro-typical educational status by 1st to 3rd grade in the majority of infants and toddlers. That is a tall statement to make, and it is not offered lightly. Biomedical protocols involve a great deal of work by the families and counseling by the staff. Traditional therapies, such as behavioral, physical, occupational, and speech are a necessary accompaniment to assure improvement. As in other medical conditions, such as hypertension-arteriosclerosis-heart disease or the HIV epidemic, a sizable cost savings may be the initial driving force to accurate diagnosis and effective treatment. If that is the impetus resulting in better medical care for autism, that’s OK, as well. This entry was posted on Sunday, July 13th, 2014 at 8:45 am	and is filed under >ALL<, Alternative and Complementary Medicine for ASD, Autism Therapies, News-Maybe-Worthy, Patient experiences, Research, Speech and Language. You can follow any responses to this entry through the RSS 2.0 feed. You can leave a response, or trackback from your own site.